Job hunting in Israel at times of war. Update July 15th, 2014: I originally posted this in November 2012 during Operation Pillar of Defense. Almost 2 years later, Hamas has decided it would be a good idea to pick up where they left off, sending over 1000 rockets in the past week towards Israeli cities (with at least 100 falling in Gaza on their own people too). Over 40 of those rockets have been aimed at my hometown of Ashdod alone – we're ok, by the way – but thanks to the amazing Iron Dome anti-missile system, only a handful have actually landed in town. In April 2012, my old company officially downsized my entire team of web developers and I. “Yippee,” I thought, “now we can go back to Israel.” My pregnant wife, 2 kids and I had been living in Paris (France) and after almost 4 years, it was time to leave. May and June were spent learning how job search had changed in the past few years, creating a LinkedIn profile, updating and translating my CV into Hebrew. Finally, towards the end of June, I started applying for jobs in Israel and quickly scheduled a week of interviews in mid-July. On July 12th at around 6am, I landed in Israel after a night flight with a stopover in Prague. Not having slept much but having the whole morning to relax before a 2:30pm interview in Tel Aviv, I took a taxi straight from the airport to the beach and fell asleep… waking up in time to shower, change and grab a quick lunch before a taxi to Ramat Hachayal, the Tel Aviv neighborhood where many tech companies are based. While I was relaxing, Hezbollah had fired rockets into Northern Israel and attacked an IDF patrol near the Lebanon border, killing 3 soldiers and capturing 2 others. The army raced to respond and the Second Lebanon War began. 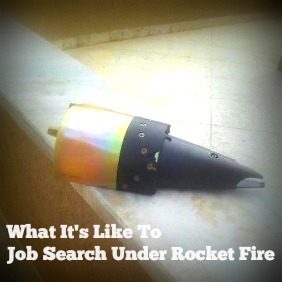 Over the next 9 days, I had 6 job interviews, all in the Tel Aviv – Herzliya area, far from where the rockets were falling in the North. Aside from small talk about the latest news from the front, I would never have otherwise known that a war was going on. August 7th. Via a stopover in Budapest, I returned for a second visit to Israel and 7 more interviews, some of which were further north than last time but still not that close to the war zone where rockets were falling daily. However, on August 13th, I got my first taste of rocket fire when I visited family friends in Haifa during Hezbollah's final barrage before the ceasefire went into effect the next morning. I saw the full range of reactions to the air raid sirens and bombardment- people who kept driving as if the sirens weren't blaring, people who calmly but quickly took cover according to IDF guidelines, people who panicked and burst into tears regardless of whether they were exposed outdoors or safe in a bomb shelter. And all throughout, people calling or sending text messages to relay where a rocket (almost) landed and that they were ok. Some businesses were open and some were closed, so if I had had any job interviews in the area, I would have had to call ahead to confirm on the day of the meeting. If the hiring company was open, would asking to reschedule to peacetime have been ok? Probably, since no one thought the war would go on for months on end, but showing solidarity is a great way to stand out. The rockets from the North a thing of the past – hopefully for good – now it's the South getting hit. Operation Pillar of Defense started on November 14th with the goal of finally putting an end to the rocket fire from Gaza that has sadly become the norm for years (4 years here in Ashdod, almost 12 years for people in Sderot, near the border). One big change is that for the past year, the Iron Dome defense system has been in place to destroy incoming rockets. Right now it has a success rate well over %80, but even when it does the job, burning rocket pieces can still hurt people and cause damage where they fall, like when a chunk of warhead (pictured above) landed in my friend's garden, shaking the whole house. Although Pillar of Defense has only been on for less than a week, the initial impression most locals had was that it would go on for more than a week. As a result, many people have left the area to stay with family, friends or one of the many families across the country that have opened their houses to us. More than a few businesses are closed from one day to the next, and some public transportation seems reduced with everyone pretty much staying indoors as much as possible. Like in Haifa in 2006, you can't job interview if a company is closed, but you can reschedule. If you can't – or don't want to – the pervasiveness of fast Internet access means you can suggest a Skype video interview. Otherwise, you can also spend a little more time than usual job searching and networking online, especially if your computer can connect to the Internet from your bomb shelter or safe room. 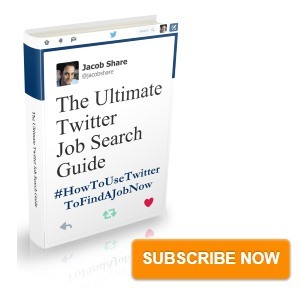 How has your own job searches been affected by extreme situations like war? Tell us in the comments. 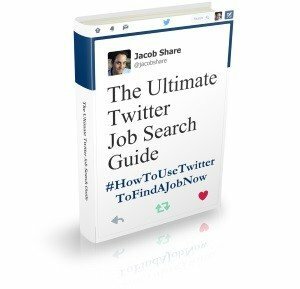 Subscribe to JobMob via RSS or email and follow me on Twitter for more exceptional job search tips for exceptional job search situations. Cannot imagine leading a normal life under rocket fire.